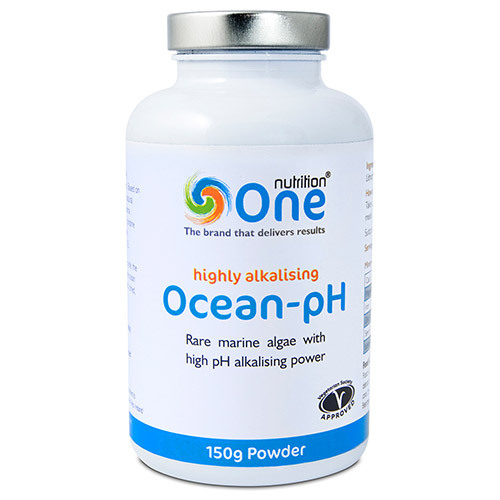 One Nutrition Ocean-pH has been specially formulated for people following a low acid diet. Based on a rare marine algae, Ocean-pH is a powerful natural mineral support system that mirrors blood plasma constituents with natural minerals drawn from pristine waters. When added to water, these highly bio-available minerals push the pH from 9 to 10.5. Take up to 2.5g (1/2 tsp) daily, dissolved in water, away from meals. 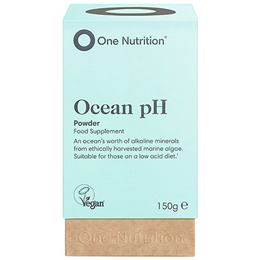 Below are reviews of One Nutrition Ocean pH - 150g Powder by bodykind customers. If you have tried this product we'd love to hear what you think so please leave a review.